Adjusts from a low height of 7.9" - to a high height of 30". Powerful DC motors, innovative Patent Pending design is engineered to keep the bed completely level at all times. Bed comes complete with Edema Foot Ratchet, Grounded Plug, Wall Saver Bumper and Pendant Holster. 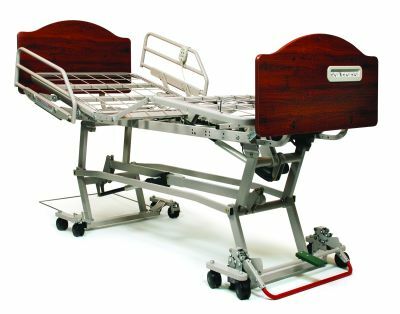 Conforms to UL 60601-1 and IED601-2-38 - the hightest safety standards for medical beds in Long Term Care. Meets Pinch Point, rolling clearance, splash-proof, electrical connection, load capacity, and tip stability requirements. 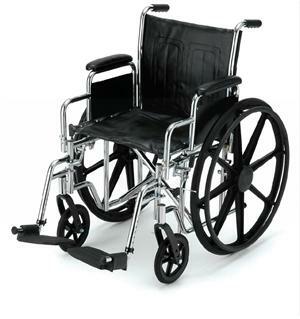 Assist devices remove without tools and meet FDA Entrapment Guidelines. 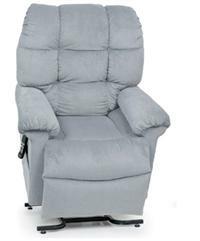 The Zenith 2 and all Long Term Care beds are sold a la carte; Head and Foot Boards, Assist Devices, mattresses and options/accessories are sold separately. Bed pictured is the Zenith 2 shown with Z-Loks and Embedded Staff controls on the foot board panel. In order to receive the bed configured with Z-Loks, this bed must be ordered configured this way. 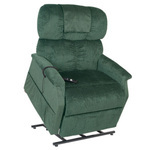 The Head and Foot boards with the Embedded Staff Control option must also be ordered.